A private developer has erected a building blocking the Jomo Kenyatta International Airport (JKIA) runway. Manchester Outfitters, despite a government order, put up their Manchester Knits factory on plot LR.NO.24092. According to the Standard, Kenya Airports Authority (KAA) wrote to the garment manufacturers on April 11, 2002 asking that they halt the construction. “The above plot lays within the approach funnel to the runway … an area which should be free from obstacles, for the safety of aircraft on approach,” reads a letter by then KAA Managing Director M.S Muriithi. 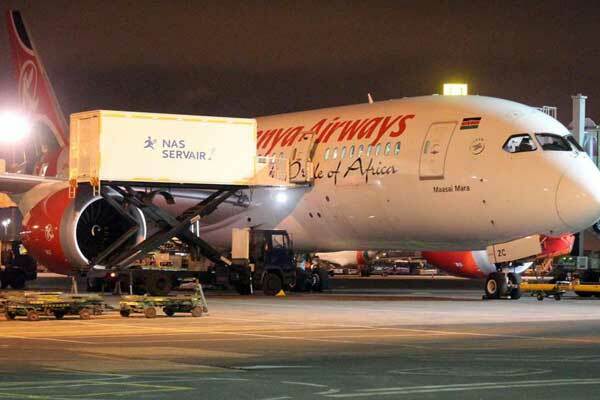 The building puts at risk planes and passengers landing, experts have said noting that it also puts at risk Kenya’s direct flights to the US. Direct flights are scheduled to start on October 28.